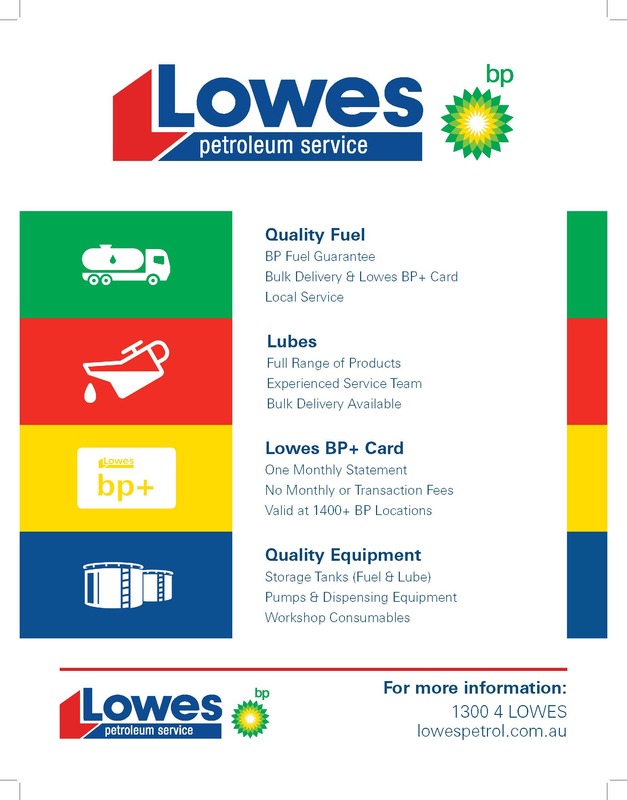 Please support our National Platinum Partner, Lowes Petroleum. Sign up to a Lowes BP+ Card now and get exclusive ALRTA member discounts. More than 35 enthusiastic participants were involved in a consultation workshop in Canberra on Thursday, 28 March 2019, to progress the development of a Registered Industry Code of Practice (RICP) for ‘Managing effluent in the livestock supply chain’. Hosted by the Australian Livestock and Rural Transporters Association (ALRTA), the workshop involved a wide range of stakeholders who are parties in the livestock supply chain as well as representatives of other interested groups. At the workshop NHVR’s Greg Fill presented an overview of the function of a code of practice, saying, “An RICP establishes key agreed controls, rather than a mandatory list. The code will be an instrument that all parties can use as a guide to address typical risks in their business”. A wide range of presenters provided information to the workshop representing the interests of producers, agents, transporter operators, saleyards, feedlots, processors, animal welfare and biosecurity in managing effluent when transporting livestock by road. Participants were focused on establishing effective and practical control measures to minimise the risks they identified and discussed. There was general agreement that workshop participants shared many common concerns and that education and awareness of all parties in the livestock supply chain will be important moving forward. Effective communication between parties was raised as an important factor in managing livestock effluent, with transport operators, drivers, consignors and consignees having a role to play in organising the particular circumstances of each load and journey. ALRTA National President Stephen Marley said that the consultation workshop is an important step in establishing an industry code. “Last year, ALRTA consulted with hundreds of member operators at our annual conferences across six states. This week’s workshop provided the opportunity to consult with other parties in the livestock supply chain. “ALRTA invited more than 70 stakeholders to participate and further public promotion of the workshop, for example in the ALRTA newsletter, resulted in additional registrations,” he said. The next step in the process will see a steering group collaborate to draft a document for stakeholder and public consultation. The project to develop the RICP is funded by the NHVR’s Heavy Vehicle Safety Initiative. The Code will link with the already published Master Code. The Federal Liberal and Nationals Government is investing $4 million to construct a series of truck washes and effluent dumping facilities in King Island, Smithton, Devonport and Burnie. Deputy Prime Minister and Minister for Infrastructure, Transport and Regional Development Michael McCormack said the facilities will improve biosecurity and welfare outcomes for livestock. “By reducing the spread of disease and weeds during transport, the truck wash will also help the state’s livestock and broader agricultural industries and communities thrive and grow,” Mr McCormack said. Liberal Senator for Tasmania Richard Colbeck said this important infrastructure project will improve farm hygiene. “This project is a great example of what can be achieved when the Government works together with local communities, agribusiness, transporters and farmers to support growth in our local livestock sector,” Senator Colbeck said. The Nationals’ Senator for Tasmania Steve Martin said the wash-down stations will be state-of-the-art. “Tasmania’s farming and agricultural sector is one of the state’s main economic drivers, with exports to the rest of the world continuing to grow,” Senator Martin said. Senator Colbeck (Assistant Minister for Agriculture and Water Resources) gained an excellent understanding of the need to better manage livestock effluent when he delivered a keynote address at the LTAT Conference in May 2018. The ALRTA National Council met in Canberra this week to discuss a range of issues including mandatory minimum rates, projects, NHVAS review, loading schemes, chain of responsibility, national partnership proposals and operational issues. ALRTA representatives Ian Wild (LRTAQ President), Graeme Hoare (Martins Stock Haulage), Mark Collins (Frasers Livestock Transport) and Gavin Smith (HLE Smith) dined with the Deputy Prime Minister, the Hon Michael McCormack MP, and Assistant Minister for Road Safety, the Hon. Scott Buchholz MP, in Brisbane this week. Our representatives report that the evening allowed plenty of time to discuss priority rural transport issues such as effluent management infrastructure, HVNL review, HV charging reform and safety issues. The timing was great too with the Federal Budget due to be delivered next week! ALRTA Executive Director, Mat Munro, attended a meeting of the Live Export Animal Welfare Advisory Group in Canberra this week. The agenda focussed on the 49 recommendations contained in the final report on the review of the Australian Standards for the Export of Livestock (ASEL) and progress on the separate review of the Heat Stress Risk Assessment. ALRTA will separately meet with the Department of Agriculture to voice our concerns that the ASEL review has yet again missed an opportunity to improve welfare standards during the road transport part of the export supply chain. We consider that the export supply chain begins with the consignment of animals by road to a registered export premises and that more can be done to improve pre-transit livestock preparation, unloading arrangements and the standard of unloading infrastructure and amenities. NHVR has released the outcomes of the Fatigue Safety Forum held in October 2018 and announced that a discussion paper exploring reform options. NHVR CEO, Mr Sal Petroccitto said the NHVR would take a number of steps in response to the feedback received during the forum. The Australian Government is investing $70 million to boost the productivity and safety of roads in Western Australia’s Wheatbelt, Deputy Prime Minister and Nationals’ Leader Michael McCormack says. “Western Australia’s Wheatbelt is a powerhouse of productivity – and the Liberals and Nationals are investing to build the safer roads locals and transport operators deserve,” Mr McCormack said. “Funded under our Roads of Strategic Importance (ROSI) initiative, this investment recognises the contribution of the Wheatbelt to feeding Australia and the world and creating jobs and opportunities in the region for Australians. “That’s why we are investing in the Wheatbelt Secondary Freight Network, because its contribution to the national and Western Australian economy, to help get freight moving more efficiently. “It is yet another part of the Liberal and Nationals’ vision to get people home sooner and safer, no matter where they live. Join the discussion and have your say on a range of key industry issues in the Teletrac Navman collaboration sessions. You can build the perfect rest area, a better fatigue system or a better road system. Make your voice heard in the Trucking Q&A with Tony Jones, an energetic and hard-hitting discussion forum where you ask the questions. Ask an expert in our ConnectHUB, where you can have a one-on-one chat with representatives from Deloitte, Seeing Machines, Labourforce and the Department of Infrastructure, Regional Development and Cities. Celebrate excellence at the Foundation Sponsors Awards Gala Dinner, where the winners of the National Trucking Industry Awards will be revealed. Hosted by Australian comedian Peter Rowsthorn, this is a night like no other. Build your network at our exciting social events, including the Penske Networking Drinks, Kenworth Legends Lunch, Daimler Local Showcase Dinner and Brighter Business Lunch. What are you waiting for? View the program and register now! This entry was posted in ALRTA Council, ALRTA Weekly News, ATA, Code of Practice, effluent, Live Exports, NHVR, NTC, NTI and tagged ALRTA, ATA, conference, effluent, General News, NHVR, NTC, NTI. Bookmark the permalink.